Surgical Boom & Light Mounting Solutions for Every Application. Healthcare Technology Corporation (HTC) is the leading supplier of pre-engineered and prefabricated overhead surgical boom and light mounting solutions. Our systems safely and easily attach state-of-the-art medical equipment such as surgical and exam lights, microscopes, monitors, cameras, equipment management systems and anesthesia booms to an overhead building structure. As I’ve said, these are some of the best looking and best engineered structures I have seen to date. I will certainly recommend you guys on future projects where possible. The accuracy of the install was great. For the Owensboro Health Regional Hospital Project, the Accu-Mount Support System(s) from Healthcare Technology Corporation proved to be cost effective and easy to install while offering long-term flexibility to the Owner. 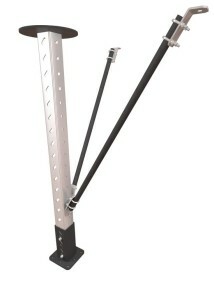 HTC produces a great product that will work with any piece of equipment that requires mounting. Given the opportunity I would work with HTC on every project. HTC has been a great member of our collaborative Project Team. Their supports provide a “lean” design which provided for an efficient installation for our field crews. The supports are designed to allow for minimal ceiling space in highly congested MEP installation areas such as OR’s, ED Exam Rooms, Procedure Rooms, etc. This is my second project with HTC and it has been good working with them. Because of the planning/coordination, Turner & HTC were able to come up with a solution to mount the Med Gas manifold serving the Stryker Booms directly to the Accu-Mount Support System. The client, UK Healthcare, was extremely pleased with the end results. I have no hesitations recommending HTC and their Accu-Mount Support Systems. Their crew had a very positive attitude as they were under some pretty adverse conditions. Great job with the installation and overall experience. I've worked with Steve Strobridge and HTC for over 10 years. 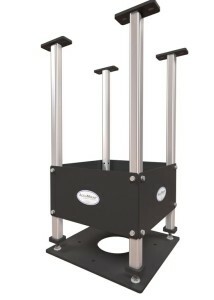 One constant over the years has been the reliability of both service and quality of their Accu-Mount Support Systems. HTCs knowledge of Stryker products (Teletom Booms, Chromophare & Visum LED Surgical Lights) translates into fantastic outcomes for our projects! 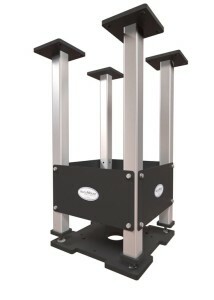 Hands down the best structural support system we have ever used! HTC went above and beyond to make sure we got what we needed, when we needed it. Great product, great people! We installed the Accu-Mount units and they went into place great. Very impressive system, will definitely keep you guys in mind. -Tyler Platt, Assistant Superintendent, McCarthy Building Companies, Inc. The install for the Endoscopy Project at Sycamore Hospital in Miamisburg, OH went very well. Myself and one helper had the job complete in just over 4 hours. We had no issues at all. -Thom Shrader, Manfreda Construction Corp.